Zare'ian, S., Kakvan, R., Hefzi, M., Azadeh, H. (2014). Assessing Architectural Design Due to Climatic Factors (Compare the Effect of Temperature and Humidity). International Journal of Advanced Biological and Biomedical Research, 2(4), 1182-1186. Saryh Zare'ian; Reza Kakvan; Mohammadreza Hefzi; Hussein Azadeh. "Assessing Architectural Design Due to Climatic Factors (Compare the Effect of Temperature and Humidity)". 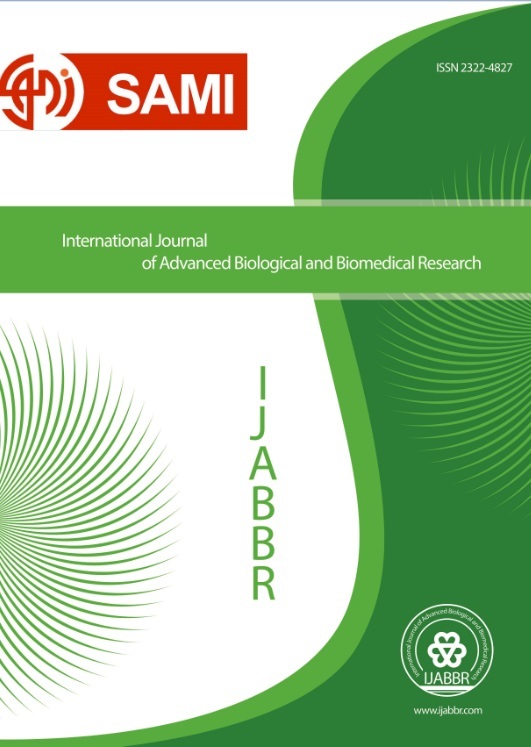 International Journal of Advanced Biological and Biomedical Research, 2, 4, 2014, 1182-1186. Zare'ian, S., Kakvan, R., Hefzi, M., Azadeh, H. (2014). 'Assessing Architectural Design Due to Climatic Factors (Compare the Effect of Temperature and Humidity)', International Journal of Advanced Biological and Biomedical Research, 2(4), pp. 1182-1186. Zare'ian, S., Kakvan, R., Hefzi, M., Azadeh, H. Assessing Architectural Design Due to Climatic Factors (Compare the Effect of Temperature and Humidity). International Journal of Advanced Biological and Biomedical Research, 2014; 2(4): 1182-1186. Undoubtly it can be said that climate and how weather conditions effect on building shape including limited architecture elements which has been noticed at the beginning of making shelter by human beings and the principle of this need has not been changed by passing time and changing the styles and movements and definitions of art and beauty and changing needs and attitudes and expanding architecture spaces. In this article with a different attitude it is tried to express instrument and ways of achieving climatic design goals in new Iran zoning with the help of different way in which by recognizing main factor or factors of making climatic crises in building (cold, heat, humidity, raining,…) during the course in which lead to parts from generalities ,it provides the best conditions of climatic design production. On such basis, different design phases are divided to five parts including society and distribution of units, determining generalities of building framework structure design of plan and frontage, landscaping and design of building executive details by introducing different ways for dealing with crisis factors or using pleasant weather condition in each phases provide possibility of optimal utilization from natural conditions for building cooling and heating and providing comfort conditions noticeably that consequently it has reduction of refrigerating and heating plant, reducing costs of fuel and installation, reducing natural environmental pollution and such cases.